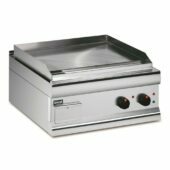 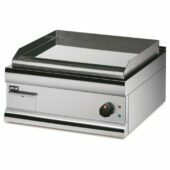 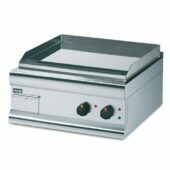 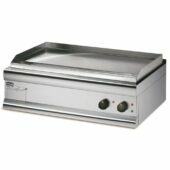 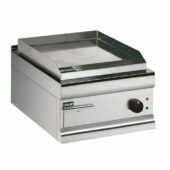 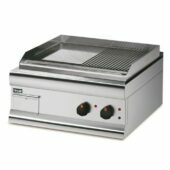 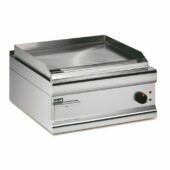 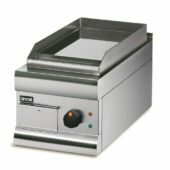 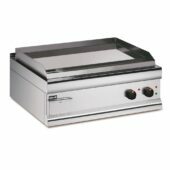 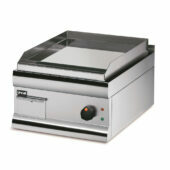 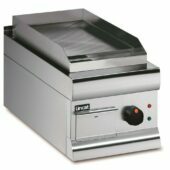 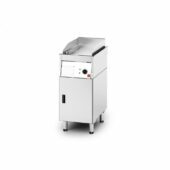 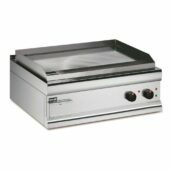 Ideally suited for: Quick service restaurants, high-productivity kitchens and fine dining restaurants. 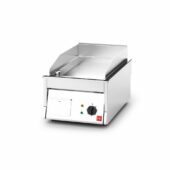 Originally created in Switzerland in in 1947, FriFri fryers, pasta boilers and griddles are still widely recognized as the best that money can buy. 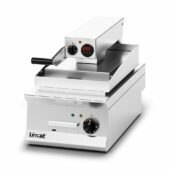 Produced today in Lincat’s world class UK facilities, continued innovation builds on the FriFri heritage of advanced design, industry-leading features and unparallelled quality. 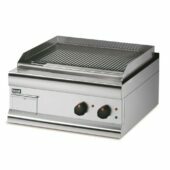 Manufactured in corrosion-resistant grade stainless steel, FriFri’s one-piece pressed construction increases tank strength and durability. 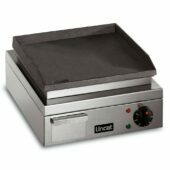 Our griddles are designed for ultimate versatility, featuring flat and ribbed plate options, which makes them perfect for cooking eggs, bacon, burgers and steaks complete with the attractive branded appearance. 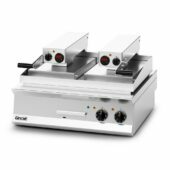 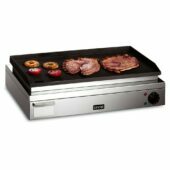 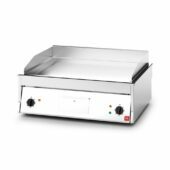 Each griddle quickly heats up and the chrome plate design for each model ensures that there's an even heat distribution across the entirety of the griddle — creating a more comfortable working environment and helping to reduce energy costs. 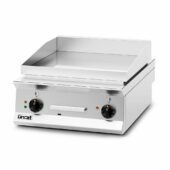 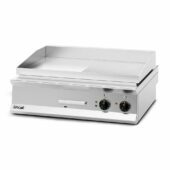 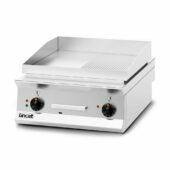 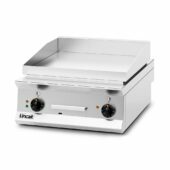 Thermostatic control options enable you to manage the heat across both single and twin heat zones (model dependent), and the clam griddles provide heat from above and below — allowing you to cook up to three times more quickly, sealing in moisture for succulent and juicy results every time. 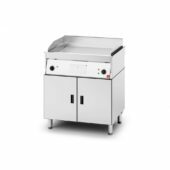 We produce a number of different variations with 300mm to 900mm models, giving you a range of options to implement within your current kitchen layout.